You can watch YouTube videos I’ve appeared here. March 27, 2019. I was on WTMJ 620 news radio in Milwaukee to discuss Powerball odds and why I don’t play the lottery. March 20, 2019. Using Mathematical Models To Fill Out Your March Madness Bracket, Wisconsin Public Radio (WPR), Central Time. March 19, 2019. Filling out your NCAA bracket: Do you go with your gut or look at the statistics? Evening news segment on WISC-TV (CBS affiliate in Madison). November 12, 2018. Special report: Secrets of the Lottery on CBS 58 10pm news in Milwaukee, WI. May 21, 2018. I gave the opening remarks entitled “Operations Research & Analytics: Saving Lives, Saving Money, Solving Problems” (viewable on YouTube) at the INFORMS Government & Analytics Summit in Washington, D.C.
May 12, 2018. Whad’ya Know podcast interview with Michael Feldman. March 30, 2018. Know your Madisonian: Analytics keep UW-Madison professor running, Wisconsin State Journal by Rob Schultz. March 8, 2018. Interest Down Ahead of NCAA Tournament, But Bracket Playing About Steady by Edward Graham, Morning Consult. January 2018, ASEE PRISM Magazine. “Organized chaos: From the classroom to research on emergency response to guiding graduate students, a systems engineer finds imaginative ways to make things work” by Jennifer Pocock. August 23, 2017: Wisconsin hopes to win big in Powerball jackpot, evening news segment on WISC-TV (CBS affiliate in Madison). July 30, 2017. The Evolution of Aviation Security, University of the Air, an hour-long interview on Wisconsin Public Radio. March 20, 2017. “Republicans Press Professors to Spend More Time Teaching” New York Times. March 20, 2017. “Just Ask Us: When did it become popular to make March Madness brackets?” Wisconsin State Journal. March 13, 2017. Wisconsin State Journal: “University of Wisconsin professor offers tips for a winning March Madness bracket,” by Nico Savidge. 2016. I am featured in the book Algorithms to Live By: the Computer Science of Human Decisions by Brian Christian and Tom Griffiths. See the blog post about this book here. September 4, 2016. Radio interview about election forecasting models for news radio WTMJ in Milwaukee, WI. August 4, 2016. Radio interview about Powerball odds for news radio WTMJ in Milwaukee, WI. Guest on “Live at Four” WISC-TV (CBS affiliate in Madison, WI) to talk about airport security queues, May 31, 2016. Guest on “Live at Four” WISC-TV (CBS affiliate in Madison, WI) to talk about March Madness and bracket tips, March 15, 2016. Blog post here. Q & A interview article in the On Wisconsin alumni magazine, Spring 2016 issue. Quoted in “How to maximize your office time” by David McCarthy on Higher Ed Jobs, March 1, 2016. Guest on Wharton Moneyball on Wharton Business Radio (SiriusXM), February 3, 2016. Guest on “Live at Four” WISC-TV (CBS affiliate in Madison, WI) to talk about Powerball, January 13, 2016. Guest on “Central Time” on Wisconsin Public Radio in Madison, WI to talk about Powerball, January 13. 2016. Guest on newsradio WTMJ 620 in Milwaukee to talk about Powerball odds and strategy, January 12, 2016 and January 13, 2016. Featured guest on the Advanced Football Analytics Podcast, January 6, 2015. What’s your stORy feature in OR/MS Today, October 2015. Interview on the math podcast The Other Half in episode 2 “The Road Trip,” July 21, 2015. The inaugural episode of the YouTube show ” ORiginals: outstanding research in everyday language” (Season 1, Episode 1) is an interview with me about my research, July 7, 2015. 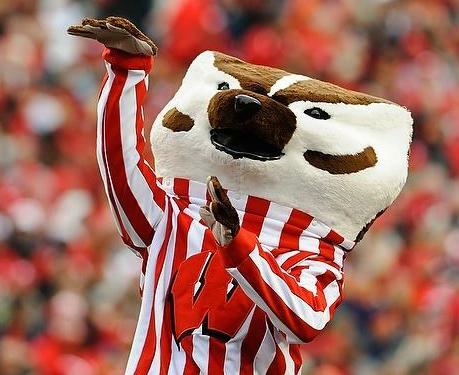 UW-Madison Press Release: “Bracketology 101: What McLay reads in the seeds,” March 17, 2015. Interview on the Madison NBC affiliate about state lottery entitled “Three lottery tickets worth $350,000 each sold in Dane County”, January 28, 2015. Quoted in an article by Shilagh Mirgain in Brava Magazine entitled “Confidence: Why are women less than sure of themselves?” in the November 2014 issue. Quoted in an article entitled “Ebola concerns raise questions about travel” in the Badger Herald, October 27, 2014. Laura’s Badger Bracketology work featured in “Computer model picks Gophers in top seven for college football playoff” in the StarTribune by Michael Rand, October 23, 2014. Quoted in an article “Cell phone alerts provide quick notice during storms” in the Wisconsin State Journal about tornadoes, cell phone apps, and risk communication, syndicated by the Associated Press, June 22, 2014. Interview on the Madison NBC affiliate about the NCAA men’s basketball tournament entitled “Odds of winning lottery 1,000x greater than picking perfect NCAA bracket“, March 18, 2014. One of my research papers featured in a Washington Post Syndicate article by Esther Cepeda entitled “Add a bus stop to your diet,” syndicated and published in several online newspapers, March 12, 2014. Feature story at the University of Wisconsin-Madison web site, “Laura McLay: Crunching data on high-risk scenarios.” October 24, 2013. Feature story in Perspective, alumni magazine for the University of Wisconsin-Madison College of Engineering, “Her response: Increase the ‘reward’ in high-risk scenarios.” September 27, 2013. Interview on “The Stigler Diet” blog, “Should I do a Ph.D.”, September 19, 2013. Interview on the “MathBlogging.org” blog, “Laura McLay – Punk Rock OR”, December 21, 2012. In Carl Bialik’s “The Numbers Guy” blog in the Wall Street Journal in an article entitled “The Waiting Game,” May 4, 2012. Featured on an INFORMS Science of Better Podcast in an episode entitled “Punk Rock Blogging,” released on December 8, 2011. Featured in a VCU News article entitled, “VCU statistics professor discusses the improbability of the Rams’ Final Four Run,” April 1, 2011. Featured in a VCU News article entitled, “Solving Complex Problems Using Math,” April 12, 2011. Featured in a VCU News article entitled, “VCU Researcher finds Right Mix of Resources is Critical in Reducing Emergency Medical Service Response Times to Save Lives in Cardiac Arrest,” August 19, 2011. Featured in a segment on Richmond’s NPR affiliate, 2008. Press release on 11/1/2006 based on my article entitled “The Economic Impact of Obesity on Automobile Fuel Consumption” in the October-December issue of The Engineering Economist, received a large amount of attention from the popular press. The results of this research were featured in news articles in more than 400 online and print newspapers and magazines, and was featured on several national cable news shows and regional radio shows. My interview with WDBJ7, a CBS affiliate in Roanoke, Virginia, appeared on the evening news. Invited guest (with graduate advisor Sheldon H. Jacobson), on the hour-long Focus 580 public radio program on AM580 to discuss research activities on aviation security, February 18, 2003, Urbana, IL.